To install E2Stream, you need to enable the developer account with the SMART Hub if you’ve not already done this before. Follow the instructions below to enable this and then install the E2Stream app. Extract the download zip into a directory of your choice. This will open a command prompt window, and a browser window with instructions on how to install. Take note of the IP address in the browser page or command prompt/shell. As the develop account, Click Settings to enter settings. 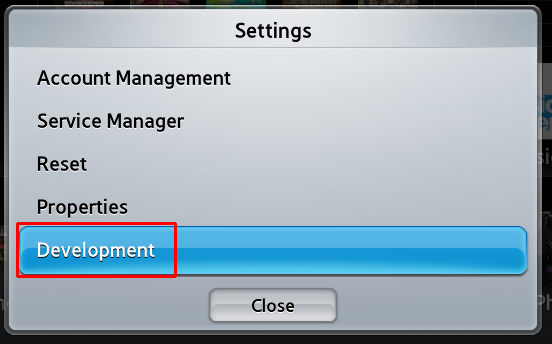 Development, should appear at the end of the Settings menu. 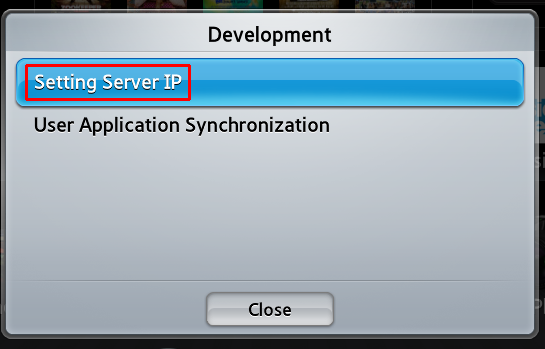 In the boxes, enter the server IP address which is provided through the installer. 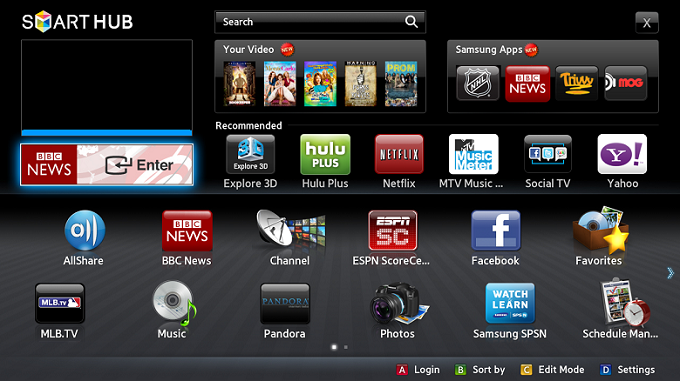 The TV indicates that it is installing the E2Stream application (see image below as example). If the installation was successful, E2Stream is now available in Smart Hub. The E2Stream icon contains the text USER in the lower right corner on a red background. Which IP shall I use please? The installer will tell you. I set the IP no. on my TV as stated in the configuration screen. Ping to this IP no. is OK. I have no webservice running on this port. Also I can not find any settings menu under the account develop on my TV. Could you give me any uggestions? This means you’ve already got something running on port 80 on your computer. You should see a result something like the following and you need to look for port 80. This might give you a clue about what is running on port 80.
and see what that shows to see if this gives you any clue. If you’ve got nothing showing at all, or nothing found on port 80, then perhaps you’ve got some antivrus/spyware program that is preventing the installer from starting a server on port 80. Netstat says “can not obtain ownership information” on localhost 80. I disabled Windows firewall and virus scanner without any result. I presume a system process is using or blocking local port 80, but I can’t find which one. try http://localhost:80 in a browser to see if this returns anything which gives a clue, also you could telnet to localhost 80 and see if anything shows that gives a clue. Have you installed Microsoft IIS? Other obvious thing to try is just rebooting. Yes – same process. For info I use a number of windows 8 machines. Only thing that gave me issues was windows firewall. It doesn’t work right now with a D-Series or C-Series TV. I’m hopeful of putting in some changes into the next release that might make it work on these models. Previous versions won’t haven’t worked on the D-series after v1.2 when I introduced the newer ‘player’ implementation. Without a D-Series TV its really difficult to try to resolve. Given that the ‘legacy’ player works in transcoding mode on the D-Series it sounds like it might be an issue with the audio streams (somehow perhaps codec support related) on the TV, something I’ve also seen even on later TV models affecting certain channels on enigma 2 boxes which use the multi-transcoder plugin where the player (even the newer implementation) can’t recognise the audio stream put out by the E2 box. I re-introduced the legacy player from v5.x onwards in the hope that it might work on a D-Series. Thanks for the heads up and your work. I have the 5.2 installer running, the firewall is off and I have the message “Waiting for connection from the TV”. I’ve gone to the H series TV and opened Smart Hub. 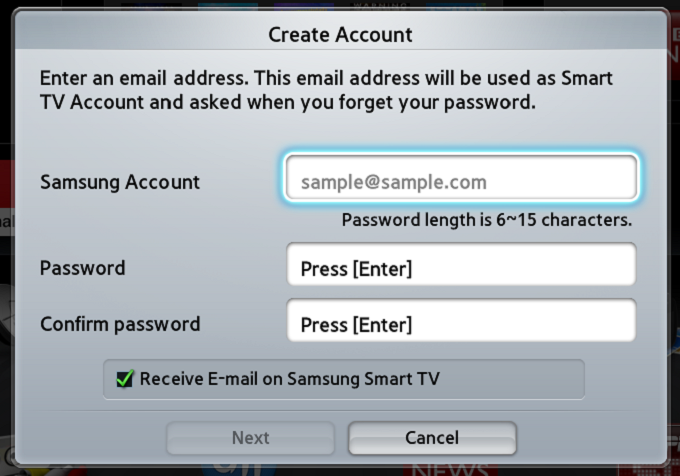 I logged in to Samsung Account as ‘develop’. If I now go to Create Account and create an account called ‘develop’, I am told an account of this name already exists. Maybe this is because I have an H series which requires a different process using the long press on an app icon. So instead, I will long press an app. (I chose the Twitter app), which allows me to select the Setting Server IP address feature. 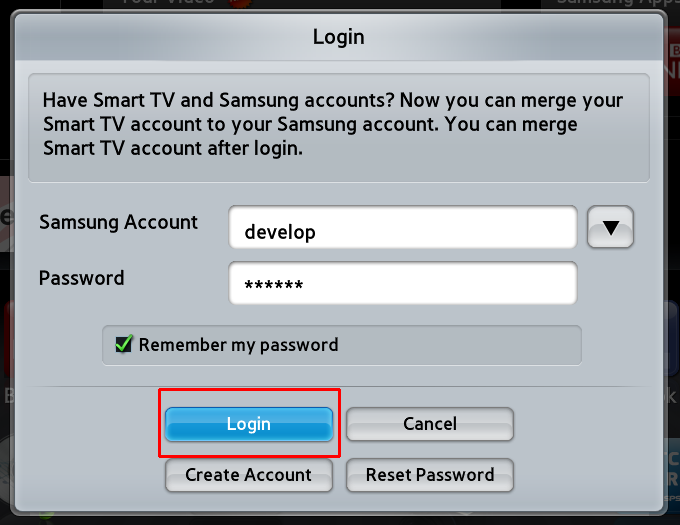 I have input the IP address provided by the 5.2 installer, turned off the TV, then back on, then Samsung Smart TV button, then logged in to the ‘develop’ account. Now I’m looking for the development menu in settings so I can select User Application Menu. But there is no settings menu anywhere on the TV. There are App Settings in the Smart Hub menu – is this the one? After five hours now, I cannot reconcile the instructions with the TV menu on the H series. Please help, thanks. The download completes in the installer. I didn’t see the app appear on the TV but eventually found it on the second page. Easy… it only took me six hours to work it out. Hi, I have the newest version of the SAMSUNG TV with the newest software on it, I cant find how to came in developer mode. can you teach me how to do it? Great work – THX a lot!!! I’ll do a donation when everything is working. I`ve installed E2Stream v5.6 today on a H6470 and i can watch TV from my Dream 7020HD – cool. But when i press “Recordings” it stucks displaying “Retrieving recordings list from …” – what can i do? Email me the results and I’ll debug what is happening with your responses from openwebif that’s preventing the recordings opening. Thanks Gorgone – that’s likely to be network congestion or speed causing the stuttering. All images are empty. What’s IP of E2 to download in Smart TV? Fixed the images. IP address to synchronise is the one the installer is running on, and is displayed in the installer. Once E2Stream is installed, you’ll need to put in the IP address of your E2 box. I created a \”develop\” account on my ue32f6270 but I encountered some problems1. I can\’t set a Password2. I\’m logged in and I see the the green \”develop\” icon on the lower left corner3. on the right lower corner I see \”A\” Log out \”Extras\” ( or tools, I use the german version) and Back but no Blue \”Settings\”as mentioned, I use the german version and my smarthub looks completly different to the pictures you show in your installation guide – what should I do? Pembo, Cheers for the development on this! Worked off the bat on my new H 6400 series. Will be donating. One question: Where does the app sync picons from? It’s not just e2stream I have trouble with by the way, but picons & my skins on the vu+ are perfect. They are at /mnt/hdd/picon/ at the moment, but where should they be? 1) The app determines if picons are available from the first channel in the first bouquet. It shows the results of this in the about screen as either Picon Mode: Service Names, Service Reference or None. Let me know which of these it says. 2) The picon need to show in the EPG in openwebif. Take a look if they show in there in a web browser. If they don’t show there they won’t ever show in the app. 2) Picons do not nor have ever shown in my webif. I have had a few boxes and multiple skins, picon sets etc. I didn’t even realise they show up on the webif. I only ever had them working on-screen/skins etc. If /media/hdd/ is a symlink for /mnt/hdd/ on your box, then there’s no obvious reason why it isn’t working. Check in the multi epg in openwebif. I’ll send you an email with a few XML responses I need from your box to debug. thank you so much…you’re a genius. Hi I am struggling to install E2Stream app on F9000 tv with 2014 evolution kit The issue is I have a develop account but it will no longer let me in after firmware upgrade tried a new one and it requires email register I created one using my domain with develop but I do not get any developer options? Had a look around and it seems that developer account is not supported any longer? Can you help Is their no way to get it via samsung app store as looks awesome? I upload a 3rd party application with a .APX extension also tried a zipped application but it doesn’t seem to find it. Is this supported ? can you give me any pointers? Now I know this is possible. I would like to kindly ask you if you know if it’s also possible to use your app outside of the home network. In other words; would it be possible to install your app at the office and stream my channels over the internet? I should probably open a port (8080) to get this done. Mel – yes, but as the app doesn’t work with authentication, it would open your box to the internet and make it vulnerable to hacking unless you lock access down to particular IP addresses/etc. You’ll need to check the options are set correctly on the E2 box. What options do you mean? I have an Atemio Nemisis with OpenHDF Image. E2stream runs on my Samsung UE32F6270 and I can look Live TV from my Dreambox HD8000. I’ve got a Samsung H serie. After installing the e2stream with differents steps as above. I managend to get the app on my tv. The installer got the text downloaded. When i open the app, the app keeps on loading for 2 minutes. After loading, the app just crashed and got a black screen. After the black screen the smart hub is closing and got to see my normal tv. Hi Pembo, v5.5 has stopped working for some unknown reason. I\’m trying to install v6.5 but I get the error \”Unable to access jarfile E2Stream-installer.jar\”. I\’m using Windows 10 with latest JDK 8. Can you please help? My mistake, I was running the CMD file as admin. All I need to do now is overcome the ERROR] Unable to bind server to port 80, please close down any webservers or other server running on Port 80 and start this installer again. Netstat shows 0.0.0.0:80 listening. I need to find what on the system is using port 80…. Done that. I had to disable Branch Cache in Services. Now I get the installer to run but the TV isn’t connecting. I’m following the same process that worked for me before. 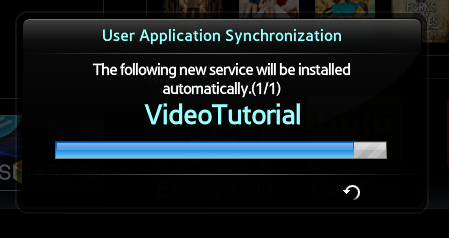 All I get is the message on the TV “User app sync is requested”. Nothing else happens. Has a Samsung software update changed something? I had to have MS InTune uninstalled, now it’s installing properly. I’ve now got v6.5 installed but the app won’t connect to the receiver. I get “NETWORK_ERROR: XMLHttpRequest Exception 101”. I’ve reverted back to the VHannibal settings I had previously but that hasn’t fixed it. My receiver image is the same as before, all other settings are the same as before. The only thing different to when the app last worked for me is that H series has auto updated it software to 2770. Do you have any ideas what the problem could be? It was a problem with the webif. It was turned on but not showing. A reflash fixed it. hi Guys, hope you can shed some light on this coz its driving me bonkers..just want to start off by saying i already had an E series 46 Samsung TV and today bought a smaller H5600 22 inch TV.i ran the installer on the laptop and web service is running and waiting for TV. All fine so far.I go to the E series 46 inch and logged in as develop, followed the installation steps and everything is up and running fine.so i go to the 22 inch H series, logged in as develop, and had to go through the long press on Twitter marlarkey as described above by some good people and…. 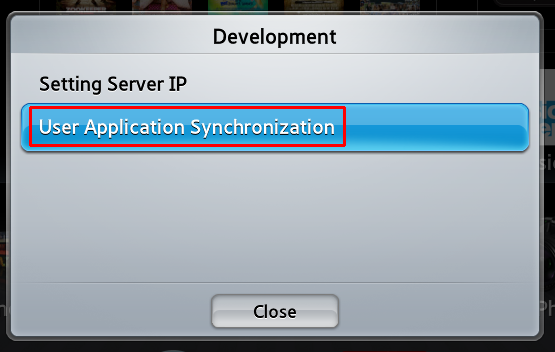 \”User apps sync is requested\” pops up and… NOTHING!tried it over and over again dozens of times and nothing. I go back to the 46 inch to reinstall and it still worked.. the output window on the laptop tells me the TV requested download and it just works.. so why not on the 22?i did notice that the IP address entered on the 46 remains but the IP address on the 22 (and twitter app) disappears everytime so i have to enter it again… and again.. and again but nothing works..clearly i\’m doing something wrong on the smaller TV coz everything else IS working..any help would be really really appreciated.thanks in advance. sorry, not sure why the line spacing messed up above. The D Series TVs are a little ‘flaky’ and it doesn’t work so well. You can try and switch to the ‘legacy player’ in the advanced options and see if this improves anything. Do you have a massive channel list? Hi Pembo.Thanky you for this app, it works perfectly for what I want. I have only one question. If you do another realease of the app, what should I do to update the one I have right now? 2k channels … With stock WebIf ALL was working goodProbably a timeout setting can help? over wifi or wired? 2k should be fine. I’ll take a look at the timeout, but I’m pretty sure it takes a while from testing incorrect IPs. Have you been customising channel lists? this can cause an issue sometimes. Try the debug build (or press ‘tools’ before you connect) and let me know what the full error says. I’ve got a Samsung H serie. After installing the e2stream with differents steps as above. I managend to get the app on my tv.. When i open the app, the app keeps loading . After loading, the app got a black screen. After the black screen the smart hub is closing and got to see my normal tv. Thank you for the work you have done developing and sharing this. 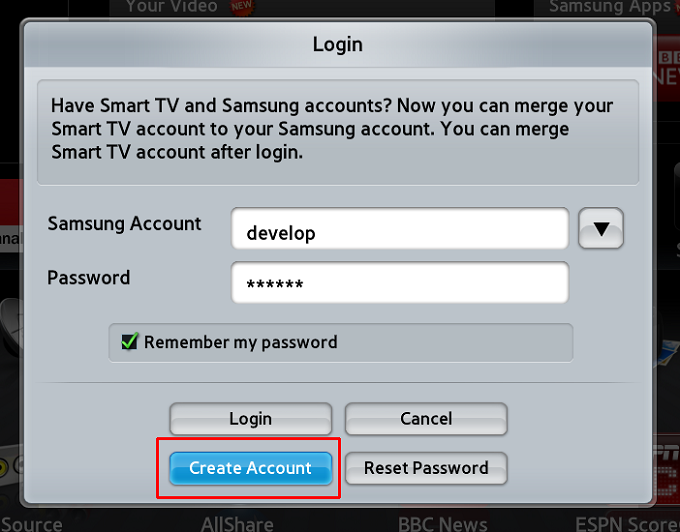 can you tell me, how to install e2stream on Samsung TV J-Series? unfortunately as the J Series uses a different OS, this currently doesn’t work. I’m working on getting a version of this executing on a J-Series model. I’ve tried installing from the root user account but no joy. Can you give me any advice? Hi Pembo. Does you know if your app work un Samsung UE32J5200 or UE32J5500? I’m thinking to buy a new LCD television and this compatibility is important for me. Unfortunately not – the J series is a completely different OS. I’m working on compatibility in my spare time but can’t guarantee this will happen until I buy a J-Series for testing! Hi Pembo, How do I install this on a J series Samsung ? I have it working perfect on my H series. E2stream runs on my Samsung UE46ES8090 and I can look Live TV from my Dreambox 800HD. I only could see the channel on E2Stream which is running on E2 box. If I switch the channel on the app i get the error massage “unknown error occurred” Are the any settings I have to change on the app or E2 box? Work this great App on my UE-40J6250? 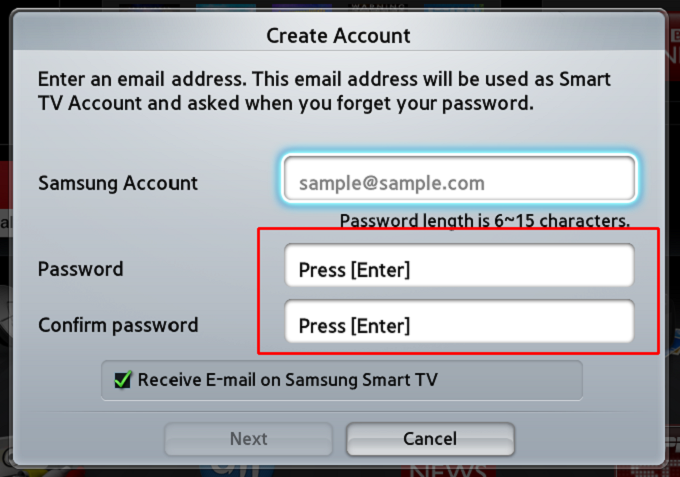 Hello.Working perfectly!Good information how to enter to develop for different series is here http://emby.media/community/index.php?/topic/9869-samsung-smart-tv-app-install-instructions/Is possible change language viewing TV (in stream i have 2 languages ESP and ENG).Thanks for reply.Pembo please is possible create in new version E2STREAM settings port?For example, now is must be default port 80.But I using different port (13000).I think, good idea is add option to login and passford, so will be posiible use HTTP authentication.Thanks for your reply.Really good work! Just now received a UE40JU6000. What expect? E2stream will not run? 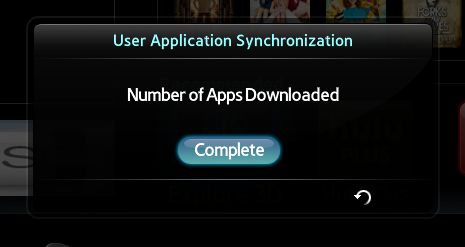 but are not able to synch the app to the TV. pracujete aj na podpore pre sériu D. Oplatí sa mi sledovať vašu stránku? got you the time for building e2stream for J-Series ? it would be great when this very good APP will be run on my new tv. still working on this in my spare time! Hi Pembo,Any chance you could fix the audio problem on e2stream? The app only detects the first language stream. It\\’s not possible to switch audio to the Original/English stream on foreign channels. Thanks. Hi Pembo, your soft is a great idea but it is not working for me on UE55D7000 and also on my Bluray of the same generation. I could install it without problem, but it is not runing. It start retrieving channels data, but after Error: can not contact your Enigma set top box. Error message: HTTP response code: 0. I have a DM500HD with Openpli. In the room of this Samsung TV i don’t have a satellite cable. Any solution ? Thank you in advance for your reply. are you running a later version of OpenPLI? It uses APIs from OpenWebif so if something in the APIs differs, that could cause an issue. You could dry the debug build to see if the logs say anything more useful to help identify the problems.